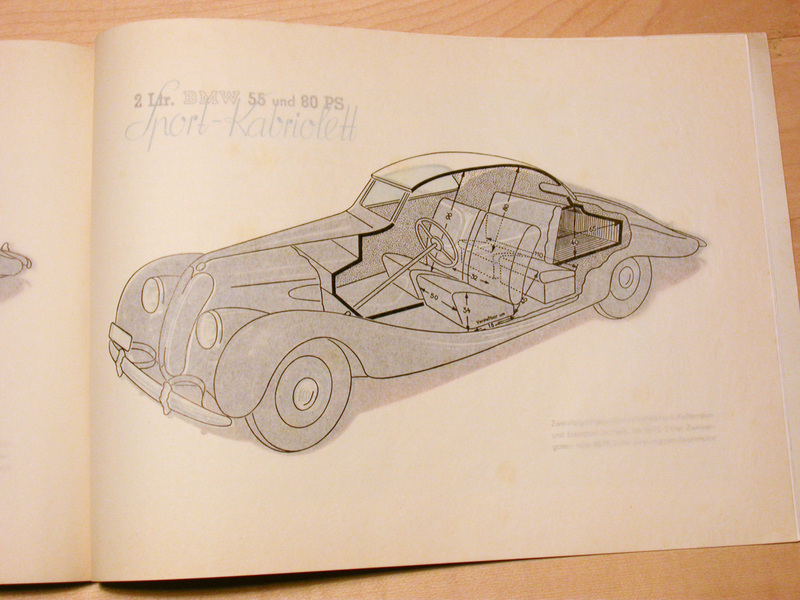 The color paintings of the cars have transparent overlays with information about interior dimensions. 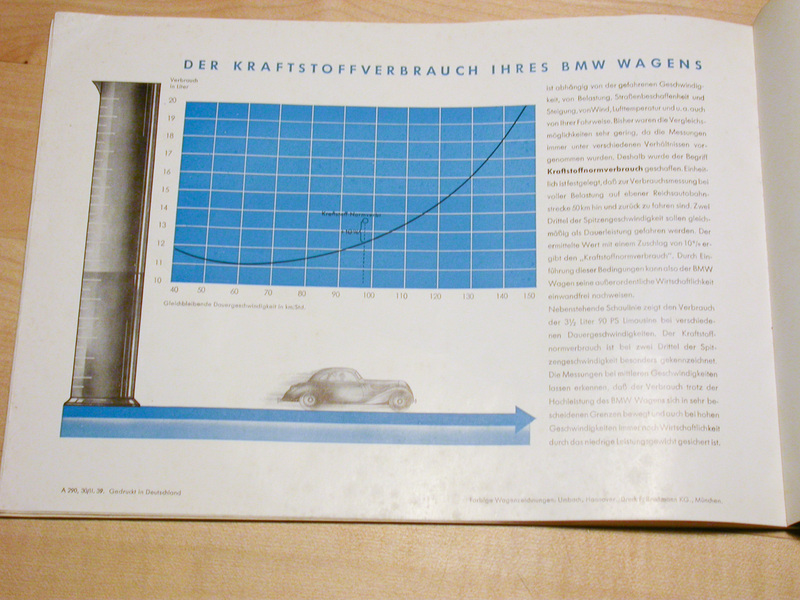 Even before the second world war fuel consumption was an issue, here is a graph showing the relationship between l/100km and speed. 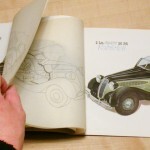 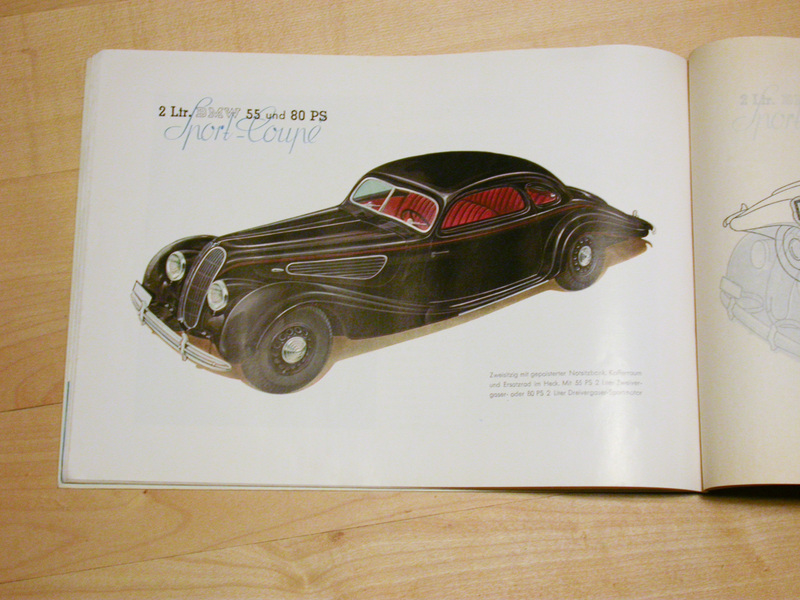 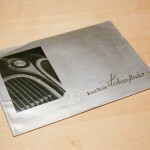 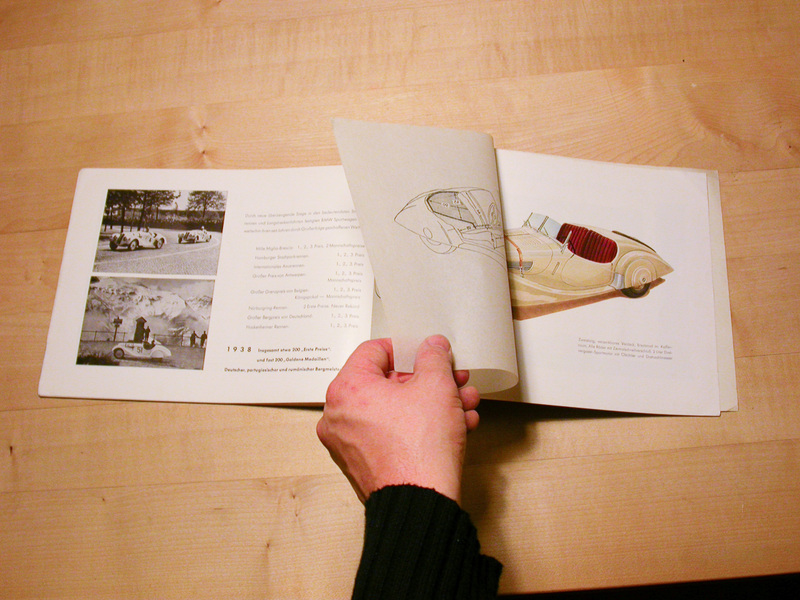 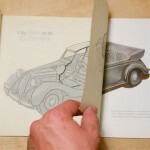 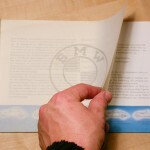 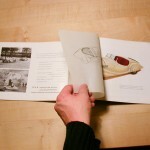 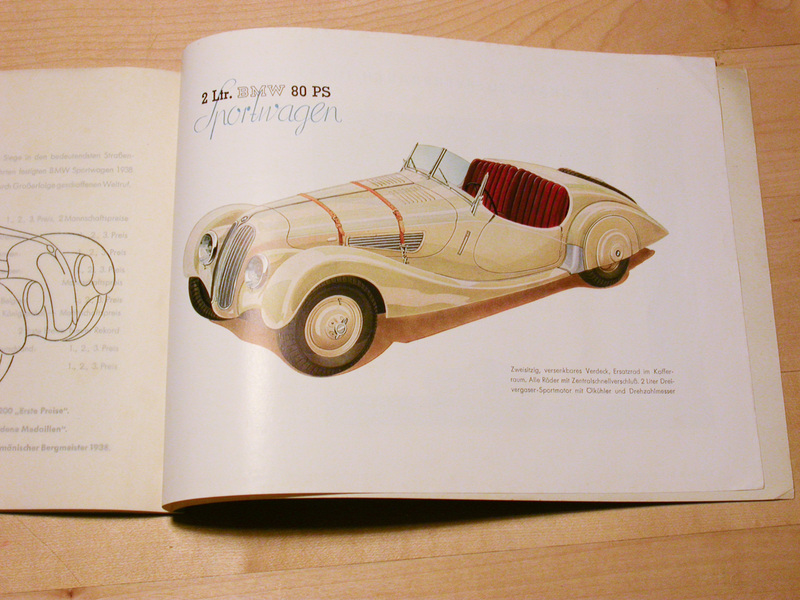 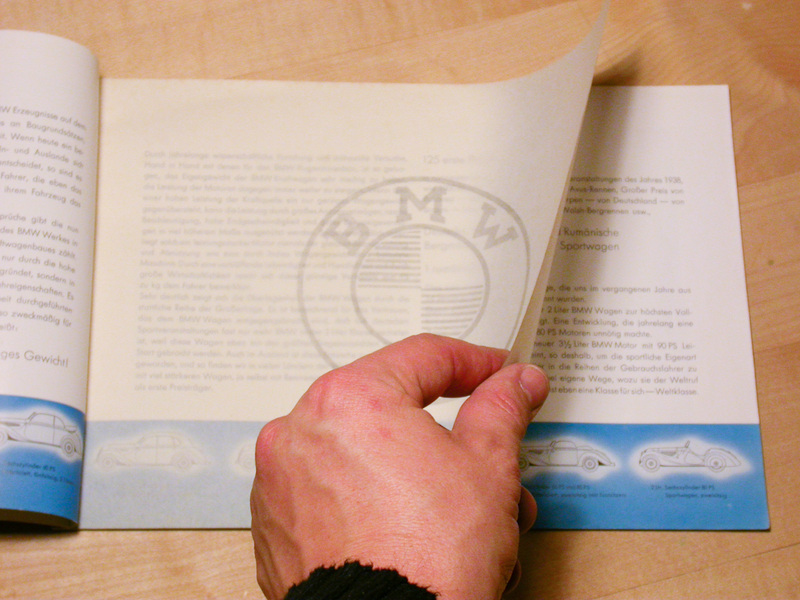 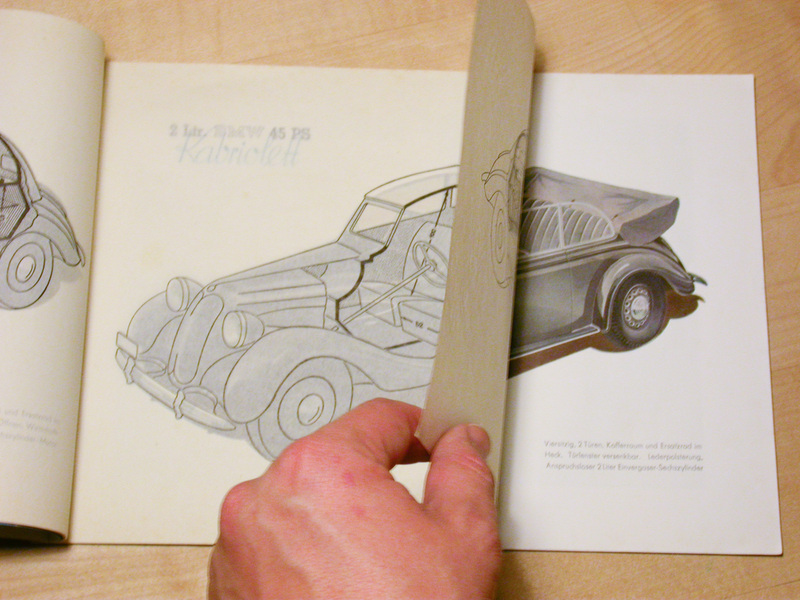 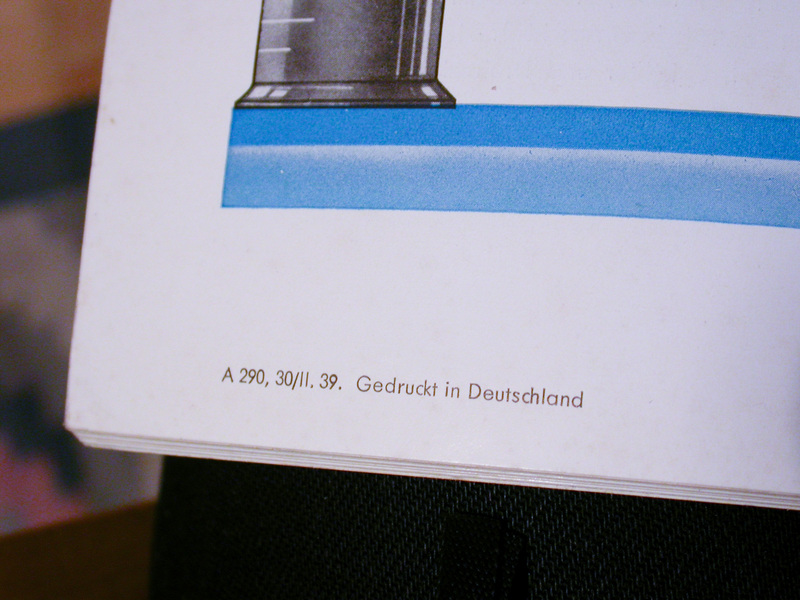 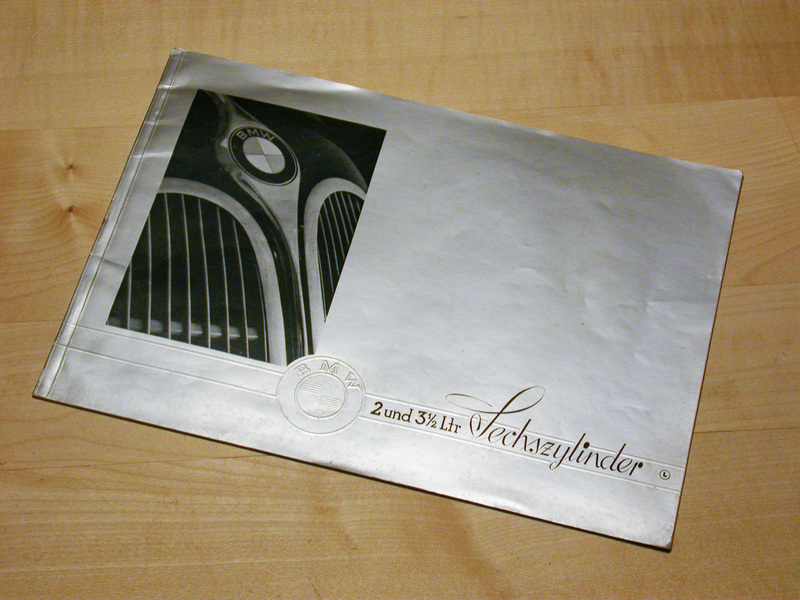 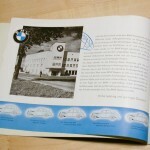 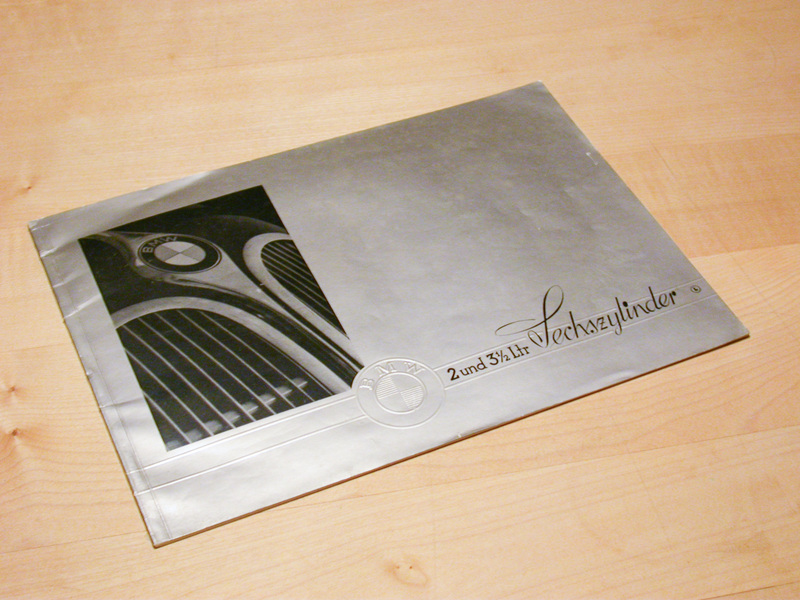 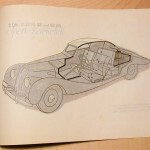 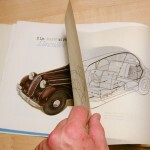 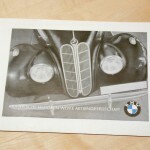 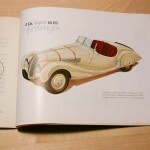 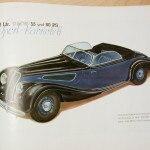 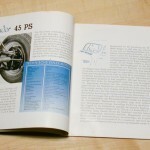 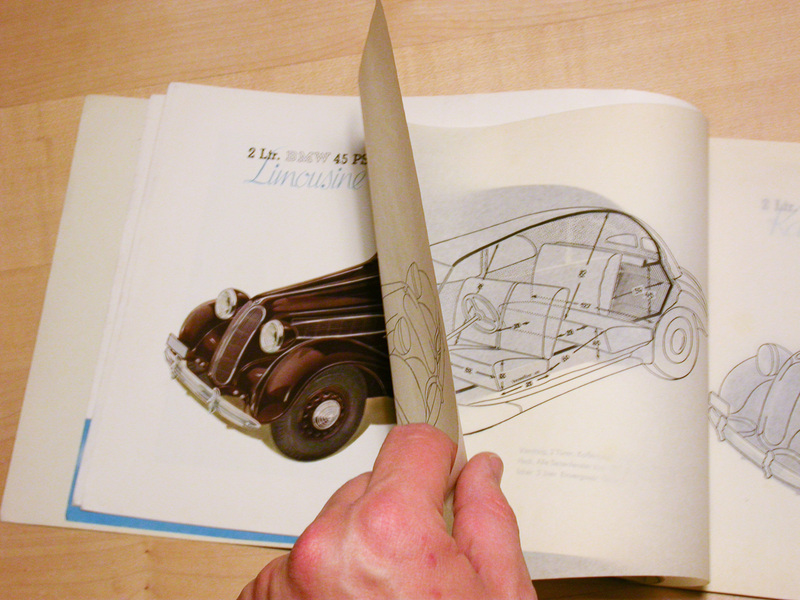 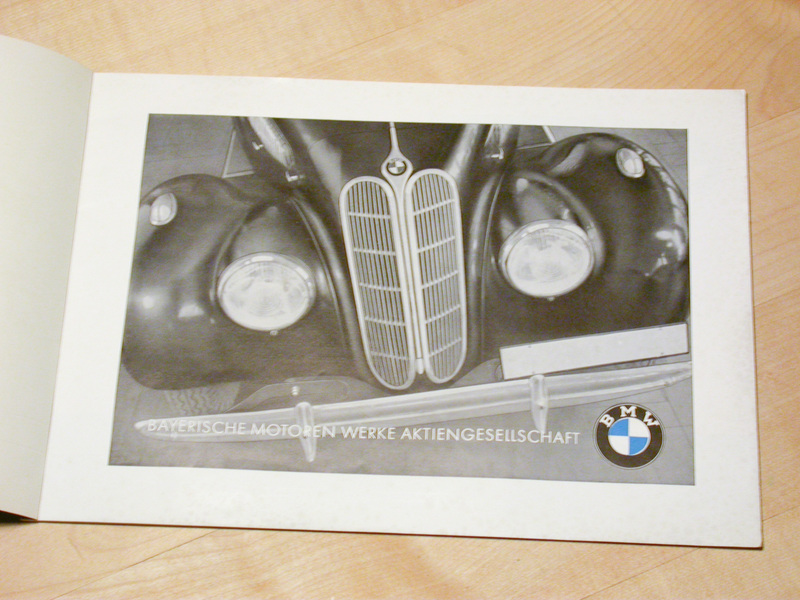 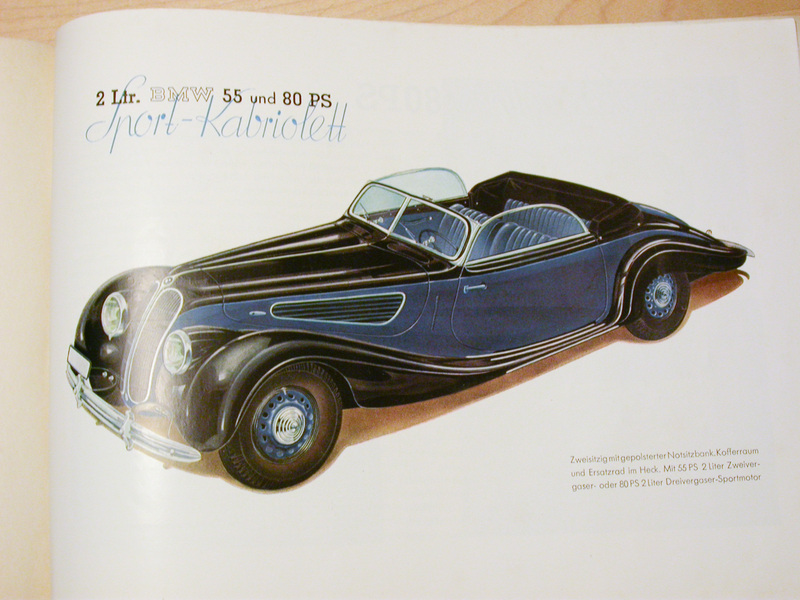 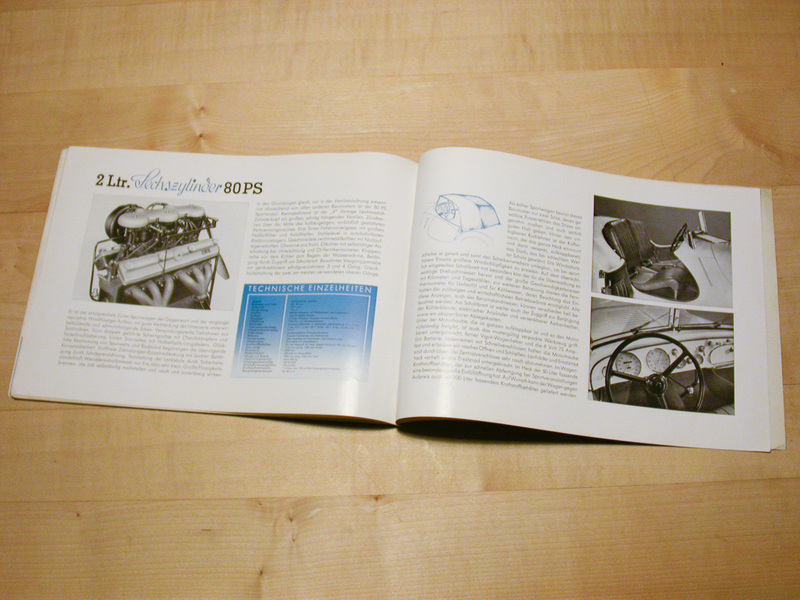 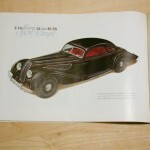 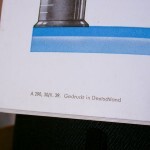 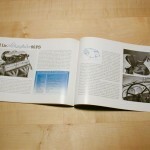 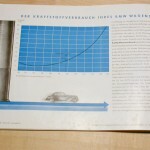 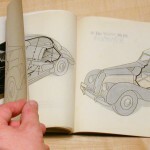 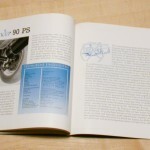 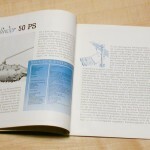 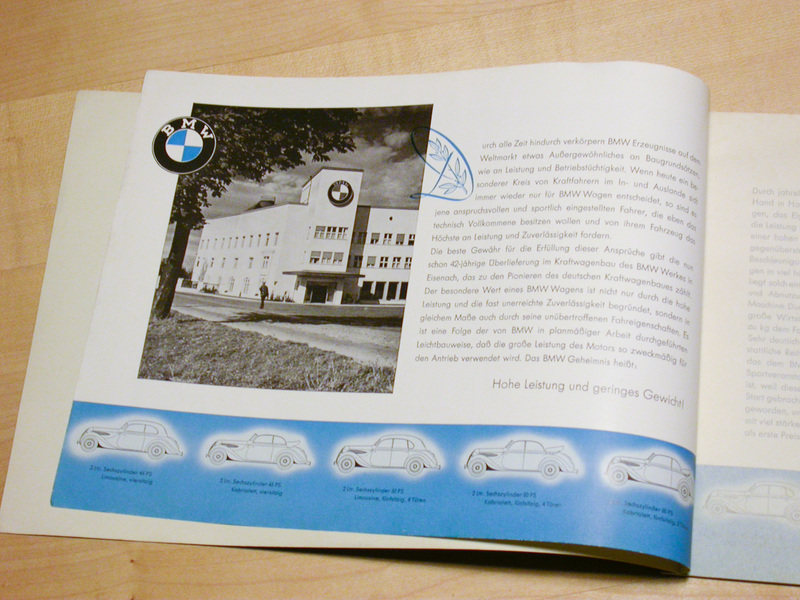 According to information from the BMW archive this means that the folder was printed in February 1939!